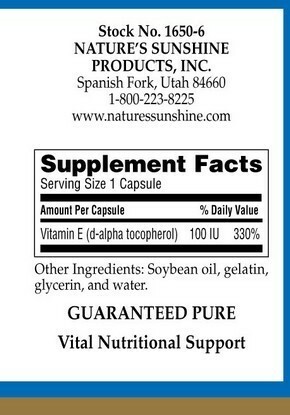 Vitamin E is a fat-soluble antioxidant. It helps quench free radicals that form as byproducts of metabolic activity and as a result of exposure to damaging environmental chemicals. 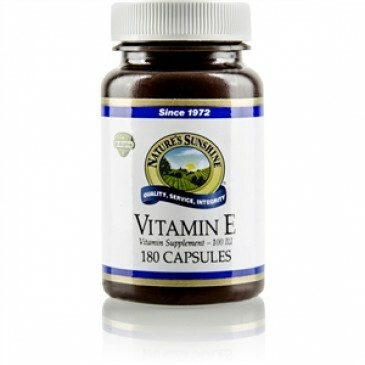 Vitamin E helps in the production of certain enzymes that are needed to maintain overall health, prevent premature aging and keep tissue supple. This vitamin helps to maintain the fluidity of the blood and is necessary for maintenance of the skeletal, cardiac and smooth muscle membranes. It helps maintain and increase the storage of vitamin A and iron in the body.